40 Toronto ACORN members were at city hall for the swearing in of the mayor and the new city council. 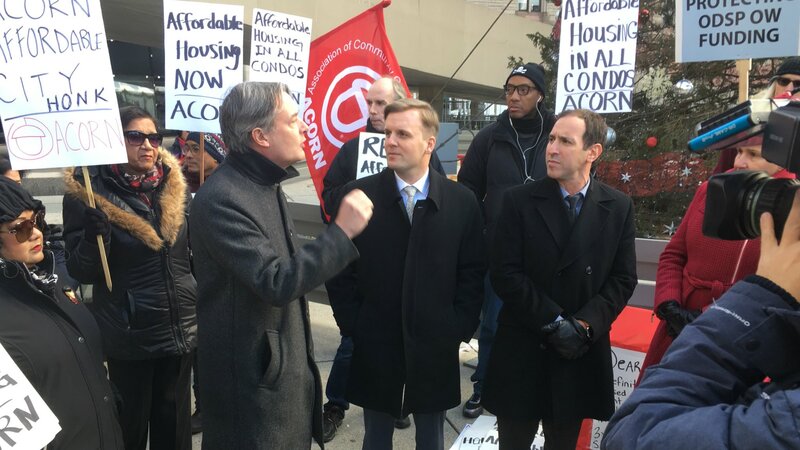 ACORN was joined by city councillors Gord Perks, Josh Matlow, Paula Fletcher, Joe Cressy and Mike Layton to give Mayor John Tory a welcome back gift - a plan for REAL affordable housing. 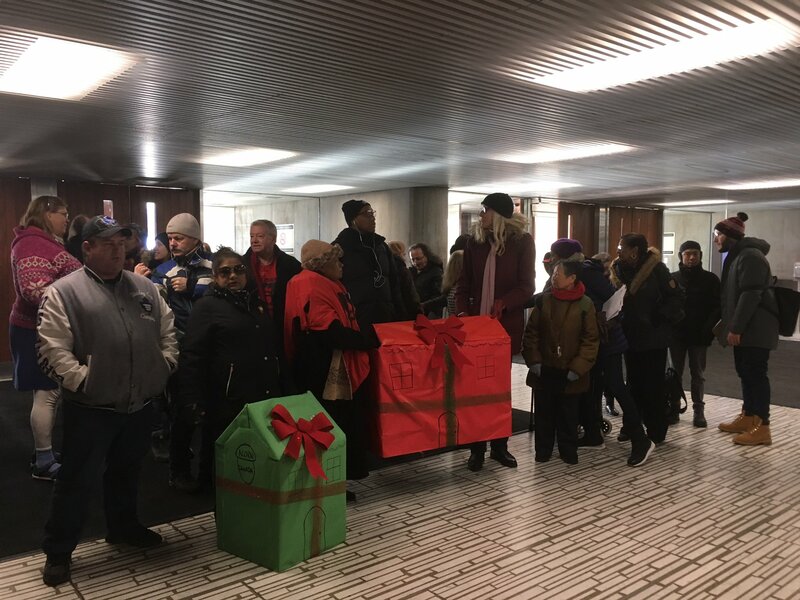 Members marched right into city hall and to the mayor's office where his staff accepted our gifts and placed them under the mayor's tree. ACORN was demanding a new definition of affordable housing, based on income NOT market rent. We also want to see strong inclusionary zoning bylaws with deep affordability, affordable units kept affordable forever (not just for 25 years), and for developments on city owned land to be 100% affordable units. 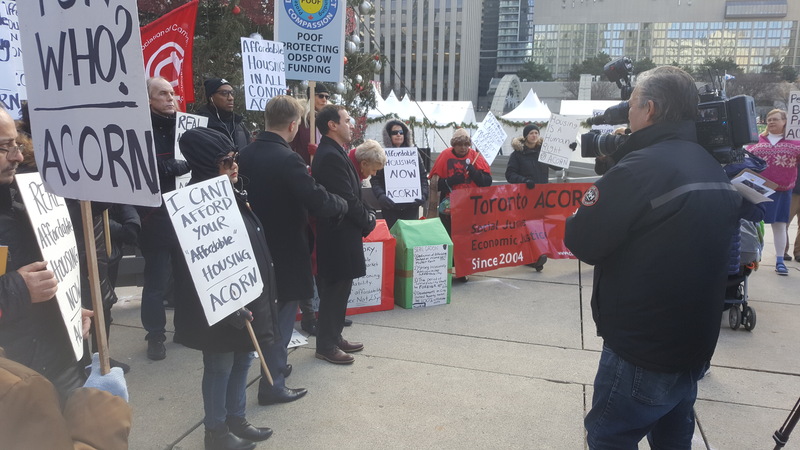 ACORN thanks the councillors that came out for their support, and will be bringing our demands to the remaining 24 councillors to make sure that Toronto has affordable housing that low and moderate income people can afford.